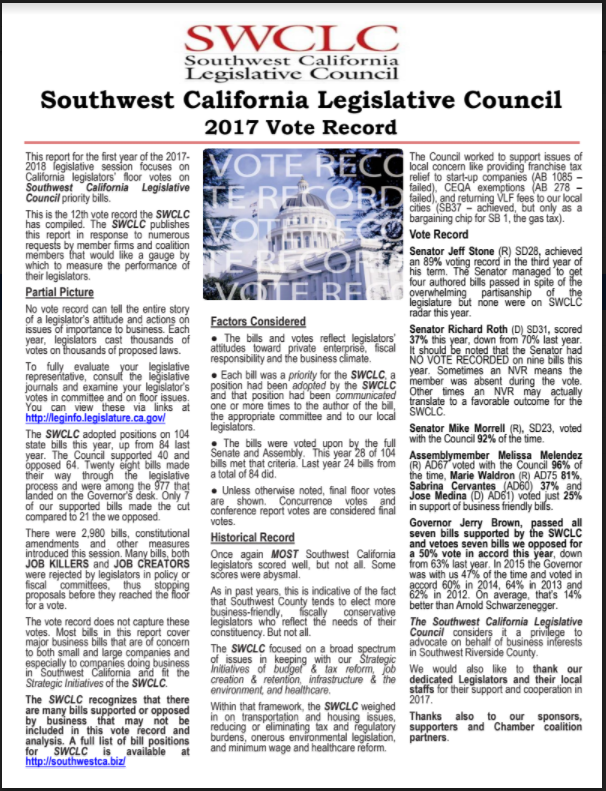 The Southwest California Legislative Council is a business advocacy coalition focusing on sustainable job growth for our region and the state. 12 bills on the agenda plus an update from City of Temecula on a proposed parcel/parks fee increase. Don’t miss our meeting on 3/15. Southwest California Legislative Committee agenda for 3/18/2019.